SCOTT, Ark. 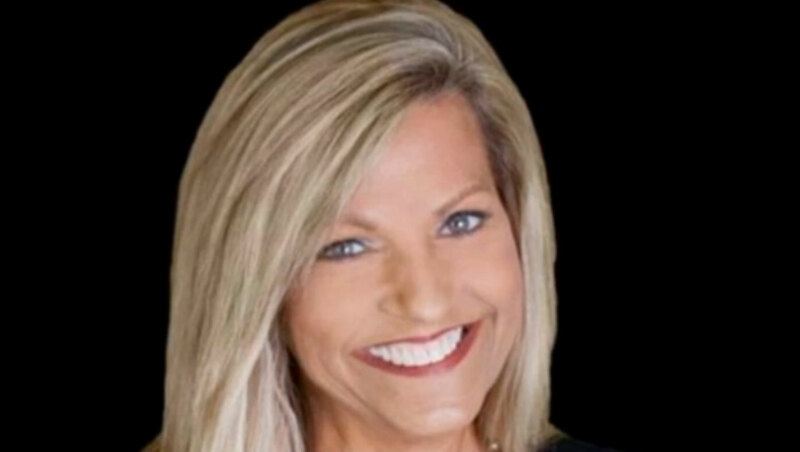 - After a search, a 33-year-old man is in custody in the disappearance of a real estate agent in Scott, Arkansas, reports CBS affiliate THV11. Aaron M. Lewis faces a kidnapping charge in the case of Beverly Carter, 51, who has not been seen since she went to show a suburban Little Rock home Thursday night, according to Pulaski County sheriff's office Lt. Carl Minden. A warrant was issued for his arrest Sunday afternoon. The Arkansas Democrat Gazette reports that Minden couldn't say how authorities linked Lewis to Carter's disappearance. Carter's husband reported her missing Thursday night when she failed to contact him after leaving to show the home to an unknown person about 5:30 p.m.
Deputies say her purse was found in her vehicle outside the home and that the door to the residence was open. Deputies had contact with Lewis before an arrest warrant was issued and they announced they were looking for him, reports CBS affiliate THV11. Lewis was reportedly injured in a car accident Sunday morning and was taken to a hospital for treatment. Deputies took pictures of his injuries, reports the station. Lewis was a person of interest at the time he was being treated, but Minden told the station Lewis was "not under the guard of law enforcement at that time due to not having any criminal charges." Lewis reportedly left the hospital in the middle of testing and a warrant was obtained later in the day. "They feel frustrated he left. Obviously it's not something we can control. If someone is not under arrest, and we go into a hospital, we're just not allowed to go back there," Minden told the station. "But, yeah, it is frustrating to know that you knew where he was, and you just didn't have an arrest warrant for him at that time." Lewis was reportedly apprehended by the Little Rock Police Department near Little Rock, but no further details were immediately available, reports the station. After his car accident Sunday, Lewis reportedly told responding officers a vehicle ran him off the road and his car collided with a concrete barrier in Sherwood, about 15 miles north of Little Rock, shortly before 10 a.m. Sunday. However, witnesses said Lewis was speeding and he began to fishtail before crashing. Lewis was written a citation for careless driving and driving without a seatbelt before he was taken to the hospital to be treated before shoulder and neck injuries. According to the station, Lewis has been out on parole since August 2013. In the past, he's faced charges including felony theft, obstruction of government operations, and failure to appear. Law enforcement agencies and volunteers continued the search for Carter over the weekend. Carter's husband told the station he knew something was wrong when he didn't hear from her for three and a half hours after she was scheduled to show the home around 5:30 p.m. Thursday. When he went to investigate, he said her wallet and purse were in her car, and the door to the home was open. Investigators reportedly found no trace of a crime. "All of a sudden I received three texts in a row. One said 'Yes.'... Then she sent another text that said, 'My phone's low. The battery's down, and I'll call you whenever I get signal.' ...And, then, straight back-to-back, I received a text that said 'Oh, I'm out drinking with some friends,'" he told the station. "Beverly's not a drinker...We just want our mom back, and my wife of 35 years...I need her." Beverly Carter was last seen wearing a black sleeveless shirt and red shorts. She is 5 feet, 2 inches tall and weighs around 145 pounds, and she has blond hair and green eyes. Anyone with information about her whereabouts is asked to call (501) 340-6600.